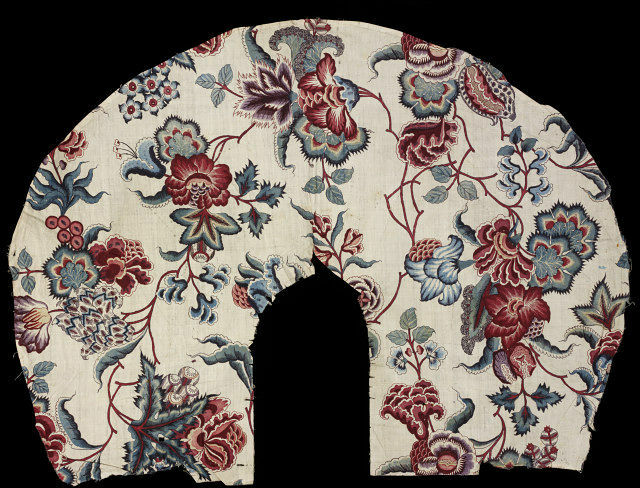 This fabric would have been used to line one of the wide-brimmed straw hats worn by the women of Friesland in the Netherlands. 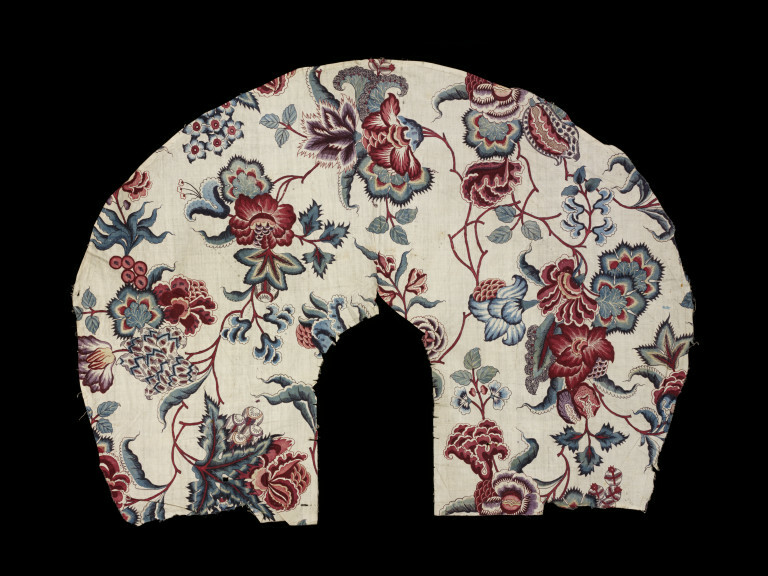 The coastal town of Hindeloopen was particularly known for its use of chintz dress, including hats like this. 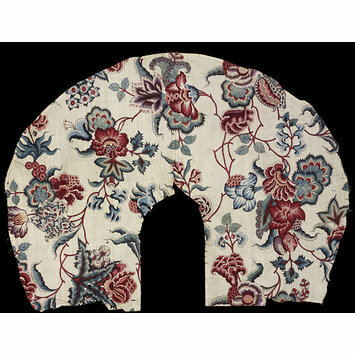 Chintz fabric with floral design used as the lining for a straw hat. White ground, patterned in dull red and pink, violet, two blues, green and yellow. The yellow and green (overpainted) have almost disappeared, but the violet is well-preserved. Purchased. Registered File number 1976/1287.